The past few months I’ve been preparing for Munich. I leave in just under five weeks (yikes!) so most of my time has been spent researching, online shopping, spending time with family and friends and, to be honest, getting my last bit of American food. In that time, I’ve been scouring my travel Pinterest board for places I pinned years ago and will now finally be able to visit. This is just a taste of the places on the ever-growing list of places I hope to go while I’m in Europe. Yes, I want to visit the big cities like Rome, Paris and Berlin, but I also want to tread off the beaten path and see some unique gems. So I’ve compiled a list of 10 small towns in Europe that you may have not heard of. 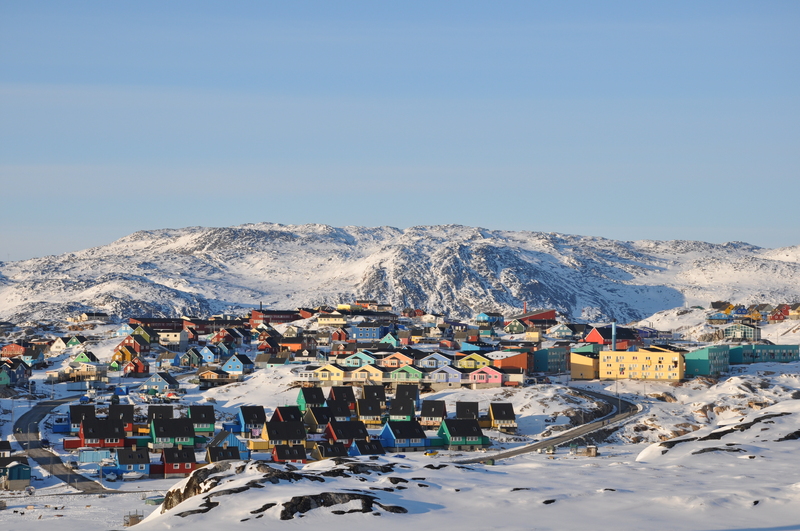 It’s hard to believe that this is Greenland’s third largest city with a population of about 4,500. In a town whose name means “iceberg,” you can be sure there is no shortage of them here. Activities include iceberg watching (like whale watching — I just coined that), hiking, and dog sledding. Be sure to make it to the Ilulissat Icefjord, which is a UNESCO World Heritage Site. You can fly over it, sail past it or walk on it. How to get there: Cheapest flights leave from Copenhagen and start around $700 roundtrip. For more information go to Greenland’s tourism site. 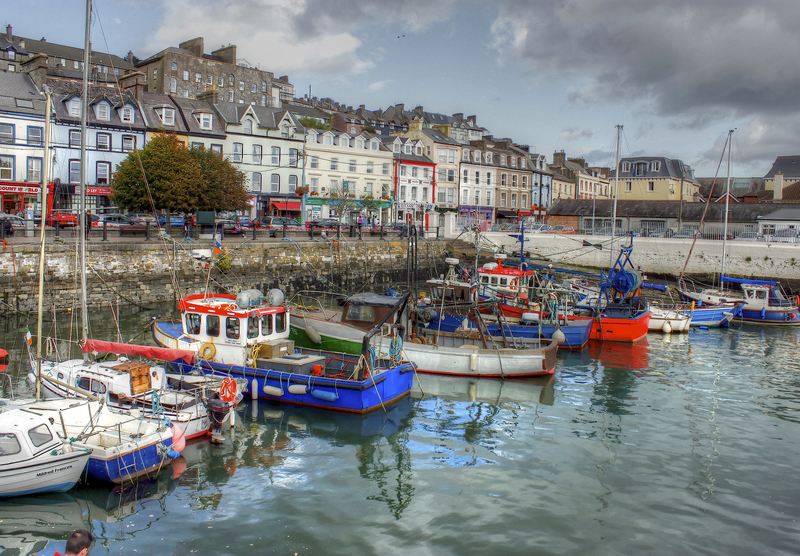 Referred to by locals as the real capital of Ireland, Cork sits on the bottom of the island near picturesque harbors (Cobh pictured above) and brightly painted houses. It’s said to be the cultural hub of the country as well as having some of the best food and markets. Having been to Ireland, I feel as though any town there is great and full of life. It goes without saying that the most lively spots are likely at the pubs. And for those of you who love to shop, go to St. Patrick’s Street that has been voted best shopping street in Ireland twice. How to get there: With Cork being one of Ireland’s bigger cities, it’s easy to get to by plane, train or car. But if you take a car, consider doing an Irish road trip and adding more stops along the way. Take a step back in time to the Medieval Ages in this small but history-rich town. Walk the wall around the city and pretend you’re on the lookout for barbarians. Stroll through the cobblestone streets imagining what life must have been like when the streets were full of livestock and things weren’t as … sanitary as they are now. 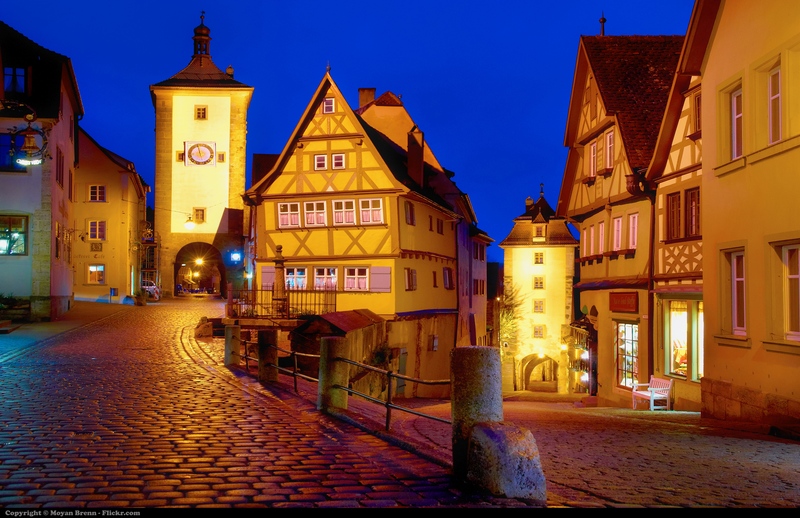 Some say that the town can be a bit touristy at times but , in the end, no other small medieval town can compare in Germany. For an even better view of the town, consider a hot air balloon ride above it. To see more of the town’s surroundings including an old castle, go for a walk or bike ride just outside the town. Oh, and the go-to treat here is a Schneeball, a pastry made from pie crust. Count me in! Here’s some more info about the town and visiting. How to get there: Go by train, bus or car. Situated on an island in the middle of a lake, this small spot speaks for itself. Outdoor sports are obviously a big hit in the area with skiing being the most popular in the nearby mountains during the winter. Beyond that, you’re free to fish, hike, go horseback riding or relax at a spa. Just don’t forget to make the trek via pletna (the boats unique to Bled) to the island to see the church and look out over the lake from the bell tower. Boat rides are 12 euros per person, and you can find a list of guides here. How to get there: No airports so plan on a bus or train ride. This lesser-known French town has been voted one of France’s most beautiful villages several times. Its buildings are strewn with flowers and quaint windowboxes. So why have you never heard of it before now? I have no idea. I just discovered it myself not too long ago! If you’re looking for a place with a crazy nightlife, this might not be the place for you. But if you’re looking to stroll through some charming streets and drink some wine (it’s situated among vineyards and wineries), then this is your town. How to get there: Since it’s a small town, you can only get there via bus or car. The easiest way would be to take a train to Colmar and go from there since it’s only 5 km away. Another town where wandering the streets would be sufficient for me. But if walking around won’t suffice for you, then look at going on a boat tour. 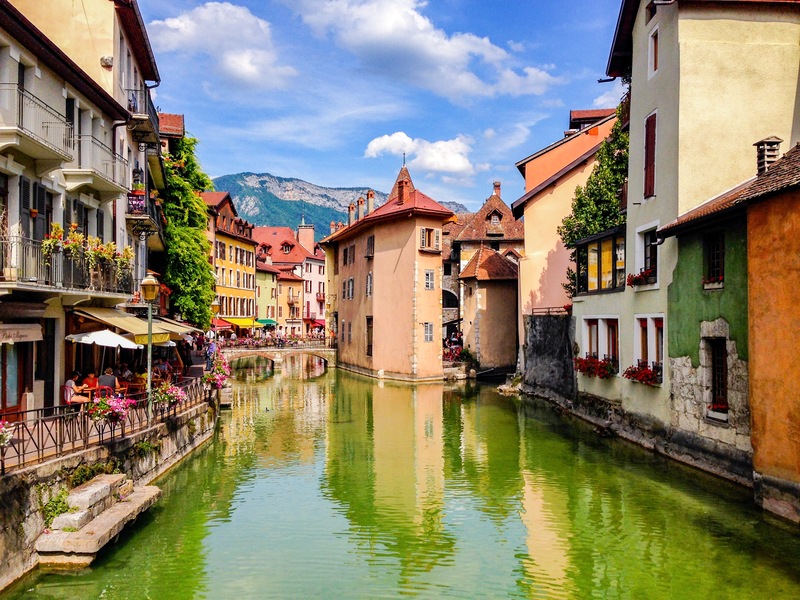 Annecy is at the foot of the French Alps, which means there are plenty of opportunities for outdoor activities. And what small town wouldn’t be complete without a castle? Chateau d’ Annecy offers stunning views of the surrounding lake, mountains and town. End your day at a waterfront cafe over a cup of coffee or French treat. There are many places on my travel list, but this one is near the top. Ever since I laid eyes on it I’ve been dying to go. Oddly enough, I almost accepted an offer to be an au pair only 20-30 minutes away from here..
How to get there: Again, too small for an airport so it’ll be a bus, train or car. You can also get into Geneva and take an hour-long bus ride from there. If you’re looking to escape the tourist spots in Italy, this is a great spot. You won’t find any significant monuments or museums, but you will see and experience Italian culture and scenery. The town is so small that no one even really drives cars. 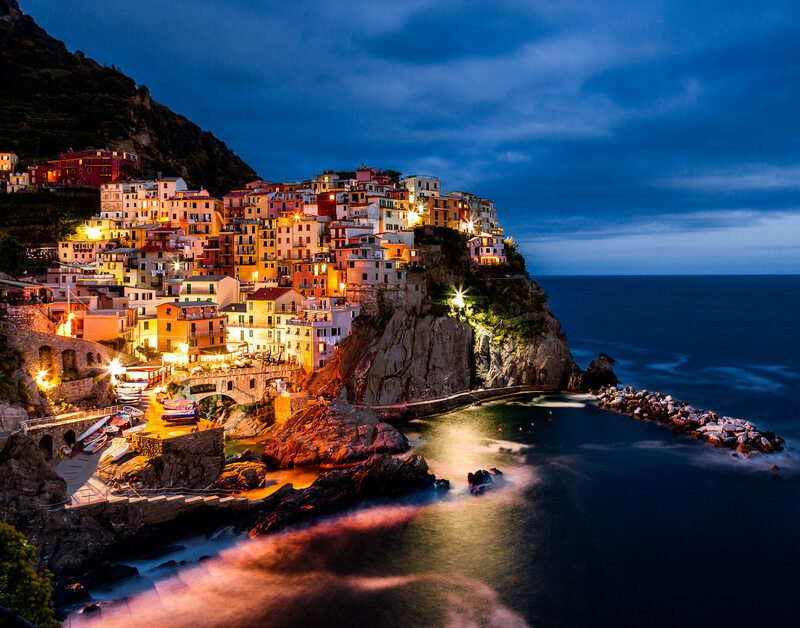 Manarola is one of five towns that make up the UNESCO World Heritage Site Cinque Terre, a rugged and rocky part of the Italian Riviera. Take advantage of the nearby trails that lead to the other towns and don’t miss the classic shot of this stunning city down by the harbor. If you want to check out more about Cinque Terre, go here. How to get there: Manarola is accessible by train, bus or car so it shouldn’t be hard to get in. Bruges’ buildings and canals look like something that would pop up out of a medieval fairytale book. It is yet another great city for bikes and boat rides too. If you’re into art, the Church of Our Lady houses Michelangelo’s Madonna and Child. If you’re not into art, consider climbing the Bell Tower for a spectacular view of the city and Burg Square. And lastly, if you’re into food (and I’m hoping we can all nod in agreement here), make a visit to The Chocolate Museum to see and taste Belgium’s world-famous chocolate. How to get there: Same as the others, train, bus or car. 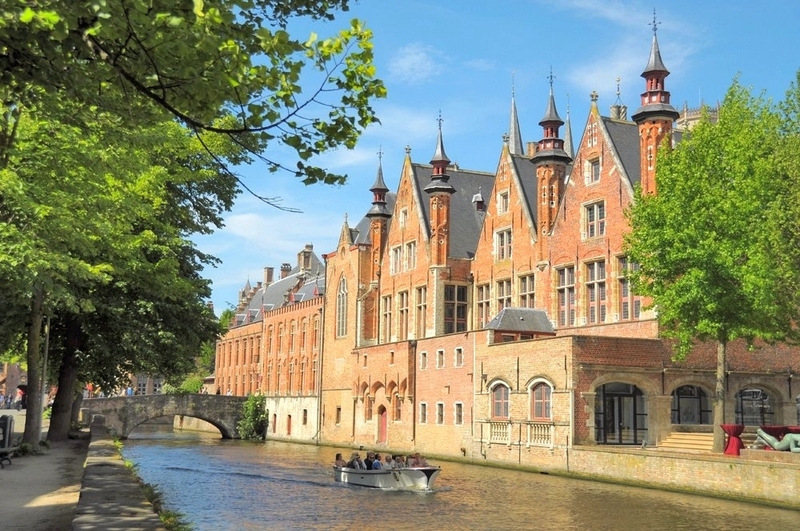 You can also arrive in Brussels and take an hour-long ride into Bruges. It’s no wonder this village is called the Venice of the North. With canals winding all throughout, it’s hard to understand why this town isn’t a bigger tourist spot, although we can be glad it isn’t. The best part is hotels on the waterfront aren’t even that expensive. Of course, you can splurge if you’d like, but this is not a town only for the rich. So poor travelers like myself, don’t miss out. Plus, most if not all hotels offer boats for you to take out. I can already see myself running into the sides of the bank, but either way I know I’ll be heading here at some point in the next year! 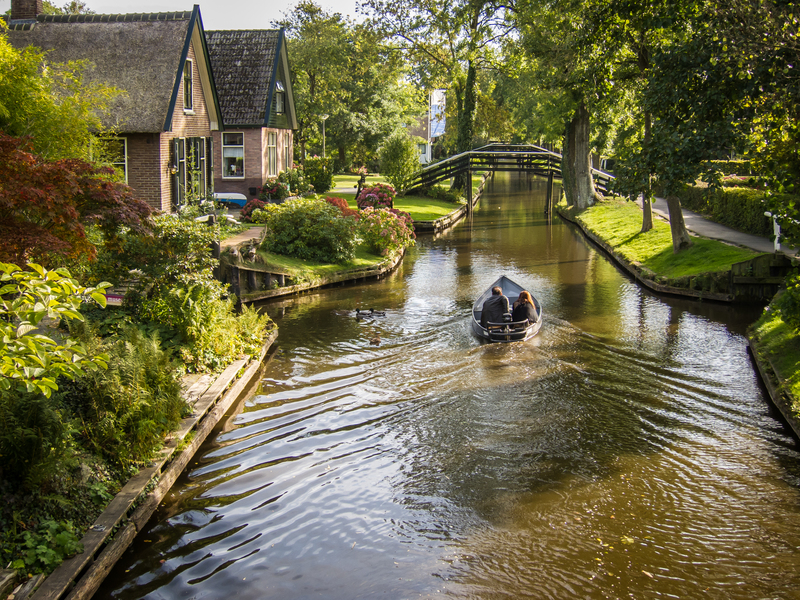 How to get there: From Amsterdam you can catch a train or bus to Giethoorn for about 10-15 euros, and it will only take about 2 hours to get there. A perfect spot to settle down while exploring the nearby area of Transylvania. Tucked away in between rolling green hills, Brasov is only 16 miles away from Dracula’s Castle. Need I say more? It’s also home to Europe’s most narrow street Strada Sforii, which doesn’t look especially exciting but you can say you’ve been there. And for you animal lovers, consider a trip to the bear sanctuary not far from town! 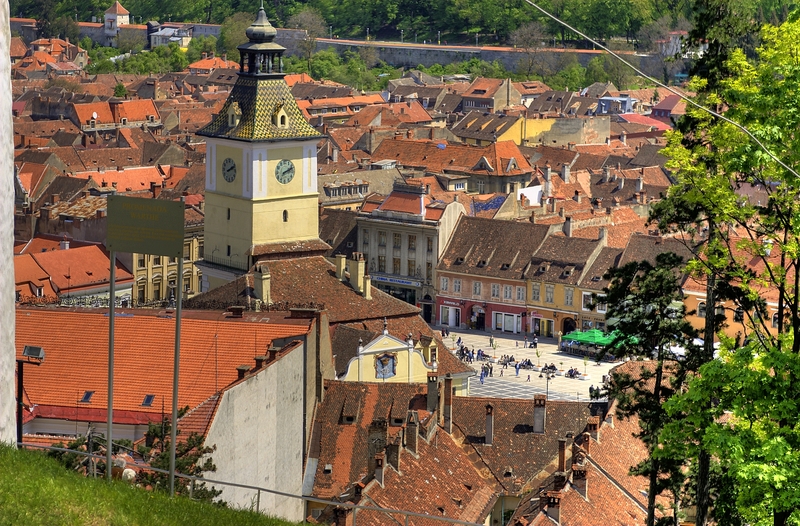 How to get there: Brasov isn’t far from Bucharest so transportation for getting there is quite easy. There are so many more places to include, but that’s it for now. What other hidden gems have you visited or heard about in Europe? Comment below with your recommendations. What a great list! I’ve been to Cork, otherwise these are all places to add to the “to-go” list. Manorola looks particularly beautiful. Love your blog. These are all so beautiful though there is something about the photo of Gieethorn that is just enchanting and extremely peaceful. I’m in love with Giethoorn! !…and all the rest too. I’m definitely going there when I hit up Amsterdam. It’s too adorable to miss. 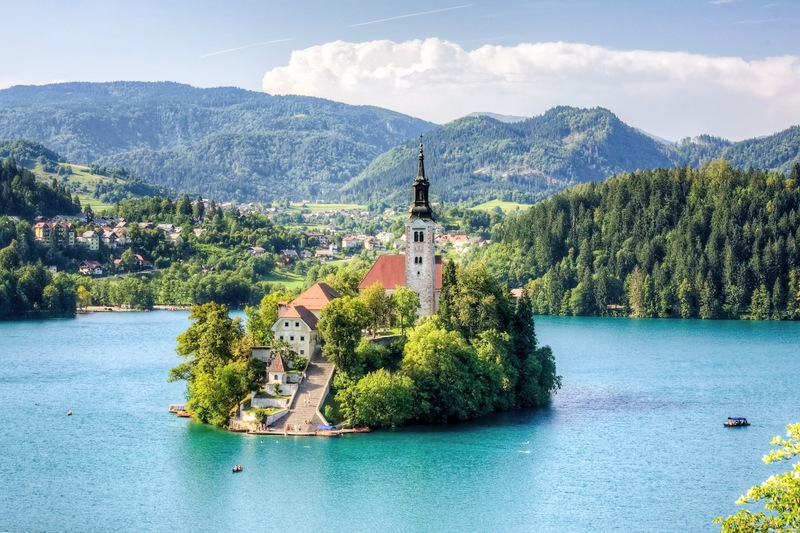 Nice list ~ I’ve been to a few of them including Bled (a couple weeks ago). I would add Beaune, France to the list.